Three people, including an American tourist, were killed in a terrorist attack in the West Bank Thursday. 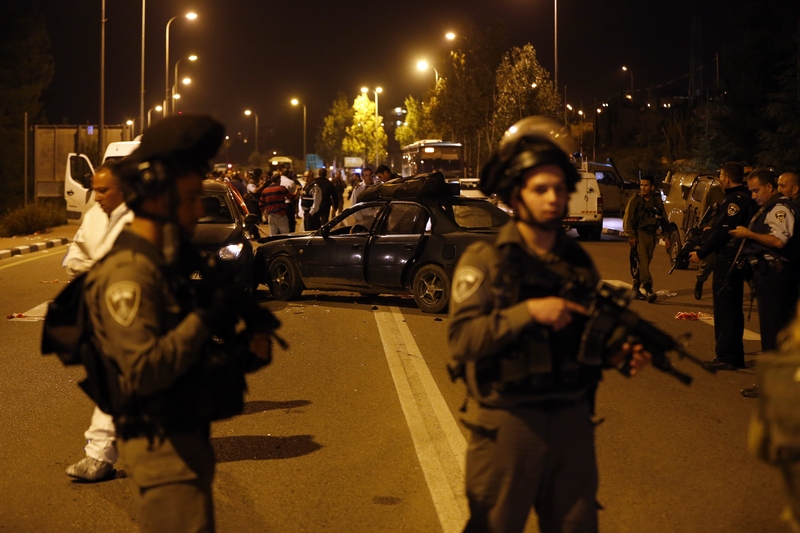 The Jerusalem Post reports that a Palestinian terrorist opened fire at several cars which were stuck in traffic near the West Bank's Gush Etzion junction, near the settlement of Alon Shvut. The alleged terrorist, who apparently had an Uzi submachine gun, killed three people and wounded four others at around 4:35 p.m. local time. The suspect attempted to speed away, but he slammed into a car, and security forces shot and arrested him. The American tourist killed in the gunfire was either 18 or 25 years old, according to various media reports. The other victims reportedly include a 40-year-old Palestinian and a 50-year-old Israeli man. Israeli media noted that the others wounded in the West Bank attack, some of whom are also Americans, are being treated at Jerusalem's Shaare Zedek Medical Center. This comes on the same day as a separate attack in Tel Aviv. A Palestinian terrorist stabbed three people, killing two of them and wounding the third. The suspect, who is believed to be a 36-year-old man, was arrested after being subdued by a civilian. That attack took place at the entrance to a store being used as a synagogue, when worshippers had just begun their prayer service. Afterwards, Hamas, a Palestinian Islamist militant group, tweeted a note of praise for what it called the "heroic attack in Tel Aviv." The two victims have been identified as 51-year-old Reuven Aviram, a resident of Ramla, and 32-year-old Aharon Yesayev, a resident of Holon. The third victim is apparently being treated for torso wounds at the Tel Aviv Sourasky Medical Center. The attacks come almost exactly one year after the Nov. 18, 2014 killings of five worshippers, including three Americans, at a synagogue in Jerusalem. Violent attacks between Israelis and Palestinians have increased in frequency in the past two months because of tensions over a holy site in Jerusalem. BBC News explains that this started in September, after rumors circulated that Israel would relax rules concerning Jewish rights at the site. Israel has denied the claims.